Shooter launched in January 2015 with the goal of supporting emerging writers of literary fiction, creative non-fiction, narrative journalism and poetry. Though based in the UK, Shooter publishes work in English by writers from anywhere in the world. Initially, the magazine will publish biannually, in January and July, with plans to grow once the publication becomes established. One of Shooter’s founding principles is to compensate writers and artists for their work. 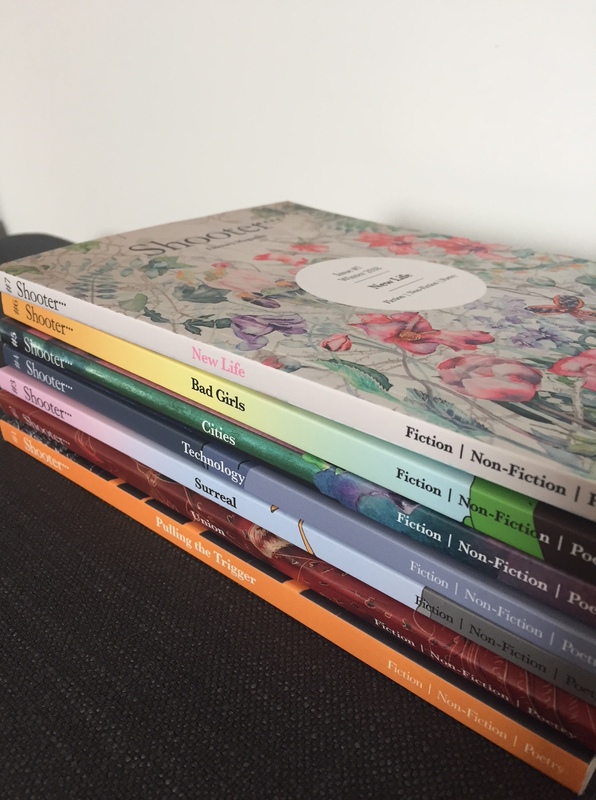 Far too many magazines and literary journals pay their contributors nothing. Financial acknowledgement sends a message that high-quality creative work is valued; even a small amount of money provides significant encouragement for emerging writers and artists. The future cultural landscape depends upon nurturing talent and connecting exciting new writers to readers. Shooter aims to make that connection. Please support Shooter’s goals by subscribing and spreading the word via Facebook and Twitter. For further information, please contact editor/publisher Melanie White at shooterlitmag@gmail.com.